Best Answer: No, the Polaroid Mint Camera & Printer doesn't connect to your phone. It's only capable of printing out new pictures that you take with the camera itself, so you can't print out previous snapshots stored on an optional microSD card, nor can you connect your phone to it to print out your smartphone photographs. However, the Polaroid Mint Pocket Printer is a portable printer that connects to Android and iOS devices via Bluetooth to print your existing photos. So the Polaroid Mint 2-in-1 Camera & Printer only prints new captures? That's correct. The Polaroid Mint Camera & Printer is a 16-megapixel instant camera that comes equipped with an LED flash that goes off automatically depending on light conditions, shoots in three color modes (color, black and white, and sepia), can add a classic Polaroid frame to your prints, features a 10-second timer, has a selfie mirror on the front, and works in portrait orientation, just like on your smartphone. As long as there is ZINK paper loaded in the Mint Camera & Printer. it will print photos, but only new captures that you take with the camera itself. 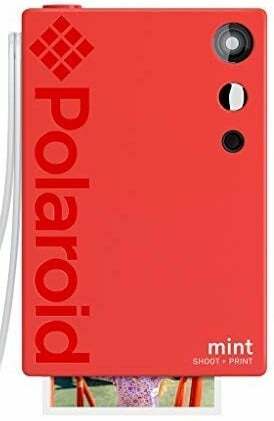 It does not feature any Bluetooth connectivity, so it's unable to connect to your smartphone with the Polaroid Mint app. Optionally, you could use a microSD card with your Mint Camera & Printer to store digital copies of your captures and then transfer them over to your computer later, but it's also impossible to print these out later with the Camera & Printer. Only the Mint Pocket Printer connects to my phone then? What's the difference? 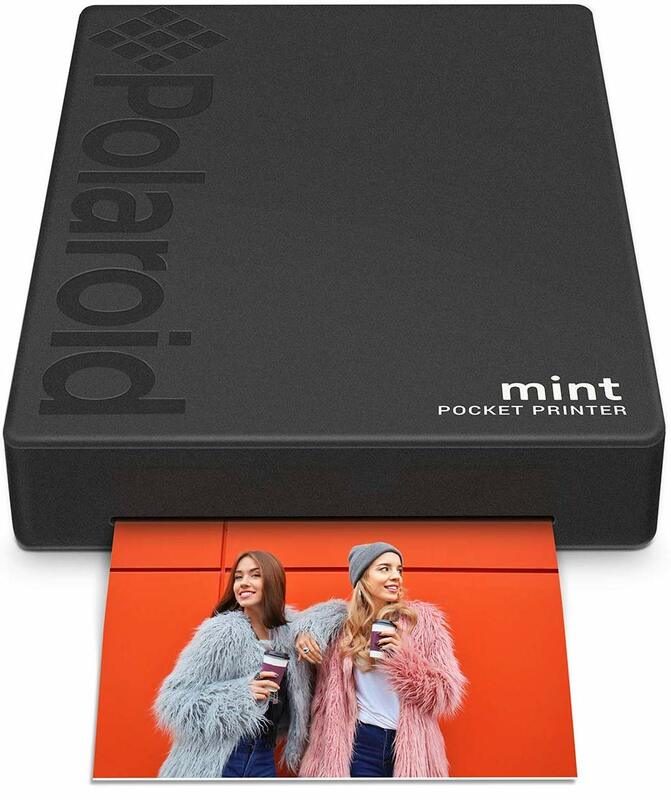 Yes, only the Polaroid Mint Pocket Printer is able to connect to your smartphone through the Polaroid Mint app on the App Store and Google Play. The app allows users to view and make edits to their photos to ensure they're ready to go before being shared or printed. With the Polaroid Mint Pocket Printer, you're able to connect to your smartphone directly through Bluetooth and send your photos to the printer to get printed out on 2-inch by 3-inch ZINK paper. The Polaroid Mint Pocket Printer, like the Camera & Printer, charges through a standard microUSB cable. The Pocket Printer can print up to 50 photos on a single charge. The Polaroid Mint Pocket Printer is a slim and compact photo printer that you can take with you anywhere. Just connect it to your phone via Bluetooth and the Polaroid Mint app, select your photos, and print away! You can print up to 50 images with a single full charge of the battery. The Polaroid Mint Camera & Printer is a fun and slim instant camera that can print your spontaneous memories right away. The camera shoots in three modes, can add Polaroid frames, has a 10-second timer, ambient light sensing with automatic LED flash, and a selfie mirror for perfect self-portraits. You can use microSD cards with it and it can print 40 photos on a single charge.